It's that time of year again. April and May seem to be the months when we go through everything in our house, clean, dust and get rid of the things we haven't used or no longer need. I've been doing this one room at a time in my house and am loving it. I love a clean house, absolutely love the smell of one when you first walk in. Even though I'm not that wife or mom to be cleaning constantly around my house, I do try and make sure for the most part that it's picked up and that whatever cleaning solution I'm using at the time is something that will get the job done in a timely manner. That's why I love Clorox! 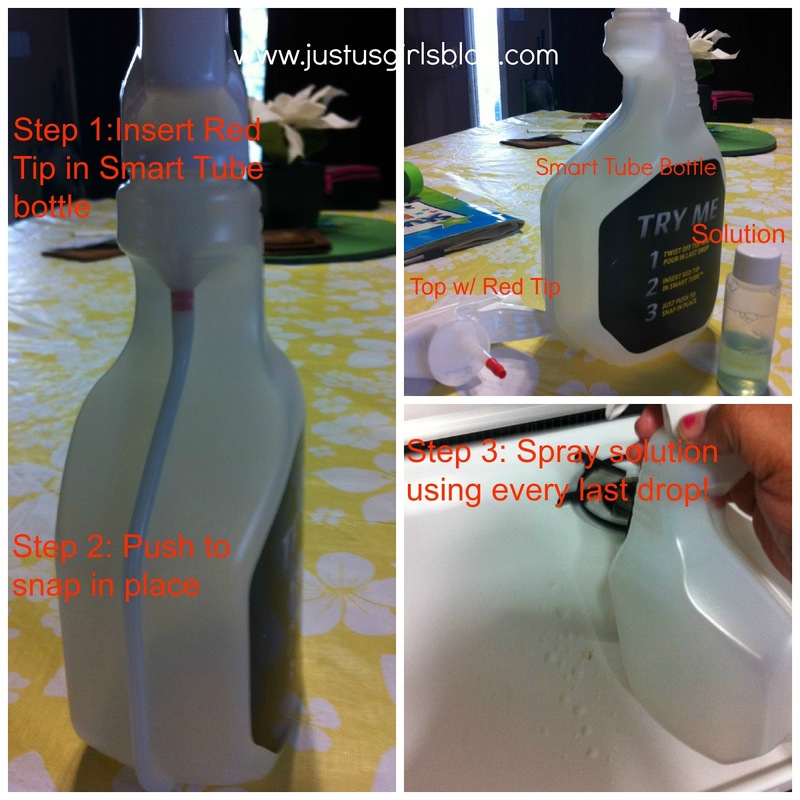 I've been using not only Clorox bleach for years, but love their all purpose and bathroom solution. I can remember both my mom and grandma using Clorox for laundry and cleaning around the house, it's just a brand that is known to get things clean. I was given the opportunity to test out a few of their newly improved products. I was given their all purpose spray, Tilex and their newly revamped Clorox Bleach. One thing I love about the changes that Clorox has made is that with both the all purpose and bathroom spray they no longer have bleach in them. This makes me happy as I don't have to worry about bleaching my clothes on accident while I'm cleaning. Another thing I love is that they recently released their Smart Tube bottles for their Clorox, Tilex and Green Works spray bottles. These Smart Tube bottles ensures that while cleaning with their products we are sure to get every single last drop of solution saving time and effort and eliminating waste. Now we're getting what we paid for without wasting a single drop. I had a chance to test this out because I was also given a small bottle of solution and an empty Smart Tube bottle to review how it worked. Take a look at the photo below. I honestly can say that these bottles are pretty nifty and worked great! Lastly Clorox has also launched a newly-formulated concentrated bleach that is powerful enough to tackle any mess by using less formula. The concentrated formula comes in a smaller, easier-to-use bottle, while offering all the cleaning power of a bigger bottle. So you’ll get the same number of uses with all the great cleaning and whitening results you expect from Clorox bleach. I've been using the Clorox on my whites and I am very pleased on the outcome. I love that I get the same powerful outcome with taking less space up in my laundry room. Disclosure: All opinions are my own. I received the above mentioned Clorox products at no cost for the purpose of this review. No other compensation was received.